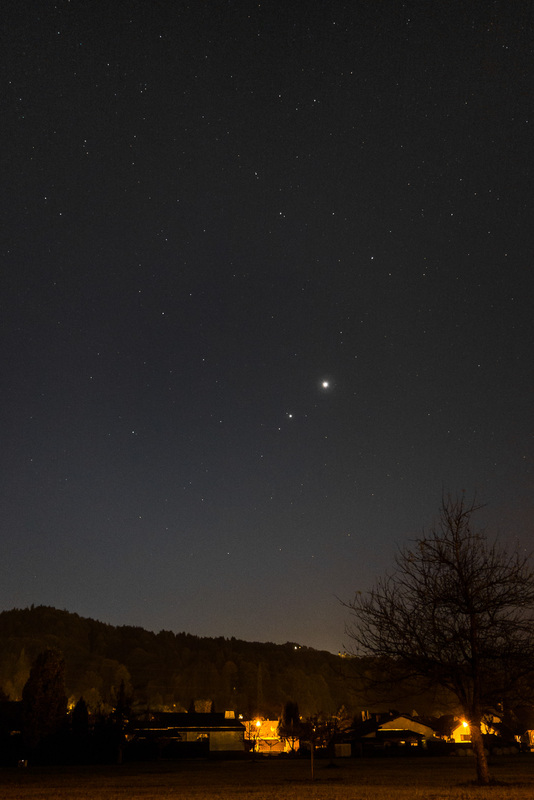 In October 2015 four planets line up in the morning sky for a very beautiful display. Mercury is hidden below the horizon in this picture. When I stepped outside the house heading of to the train station with the bicycle, at first I noticed the clear sky, and then the brilliant planets in the morning sky. I headed back inside, fetched my compact camera (Sony RX100) and managed to snap a few images and still catch the train. This entry was posted in astrophotography, planets, widefield.